Hi friends! I hope that you're having a great day! I'm glad we're coming to the end of the week. I'm just so tired and I'm in need of some rest. I'm kind of sad because my wedding anniversary is on Monday and I don't feel well enough to do much. Perhaps we will go out to dinner or maybe just wait. Enough blabbering from me. 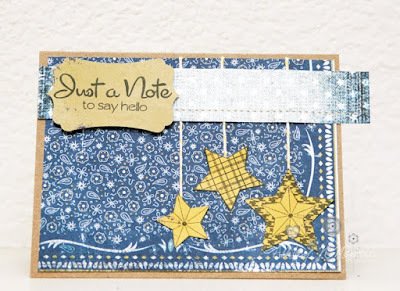 Here's a card I made for a challenge on the Create Blog from Northridge Publishing. The challenge was to use the sketch that is featured in the April issue of CARDS Mag. I decided to flip the sketch upside because I'm just loopy like that. I used a sentiment from My Thoughts Exactly More Big Thoughts. The stars are from Unity's Stylin' Stars. The paper is from Authentique Genuine. 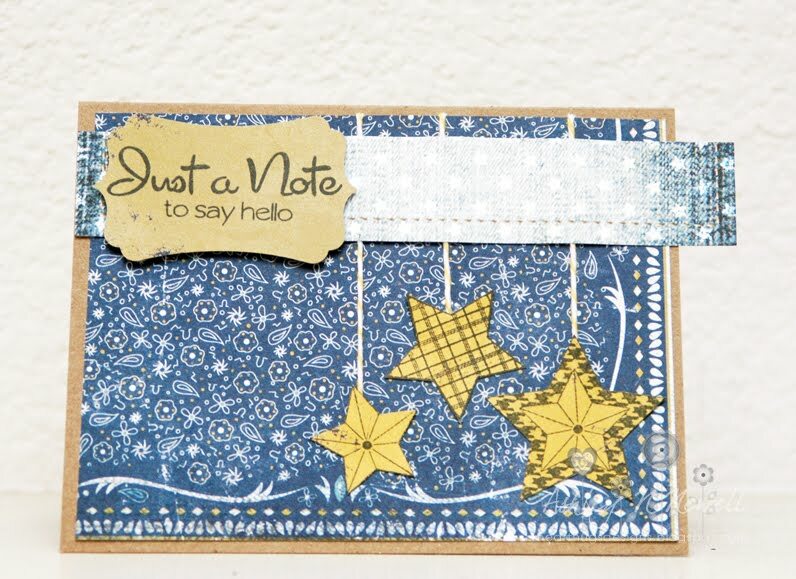 I used Lemon Divine Twine on the stars. This is gorgeous! I love all that denim! Hellow, sorry I do not speak English.